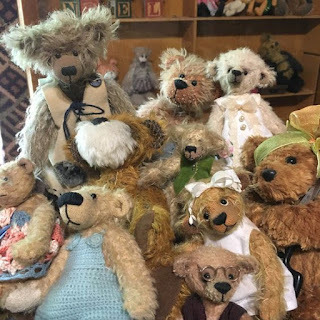 Hello from all the teddies at Tin Soldiers. They want to tell you about our Etsy sale. To celebrate leap year, all patterns in our Etsy shop have been marked down 50% for the next 24 hours. We will be adding new patterns as well, so keep checking back. Go on, use the opportunity to get yourself a little treat. Your blog and little friends are so lovely.